Your passage way to Americas Victorian Era and all of it’s Country Roots, Family, Home, Arts & Crafts and a wonderful lifestyle! There is that one thing that every living space should have in order to feel complete, and that thing is ambience. Creating a comfortable atmosphere in this space is one of the key aspects as it guarantees comfort, serenity and a more welcoming setting. But don’t despair, if you’re looking for simple ways to make your living room more inviting, you can rely on these few tricks. 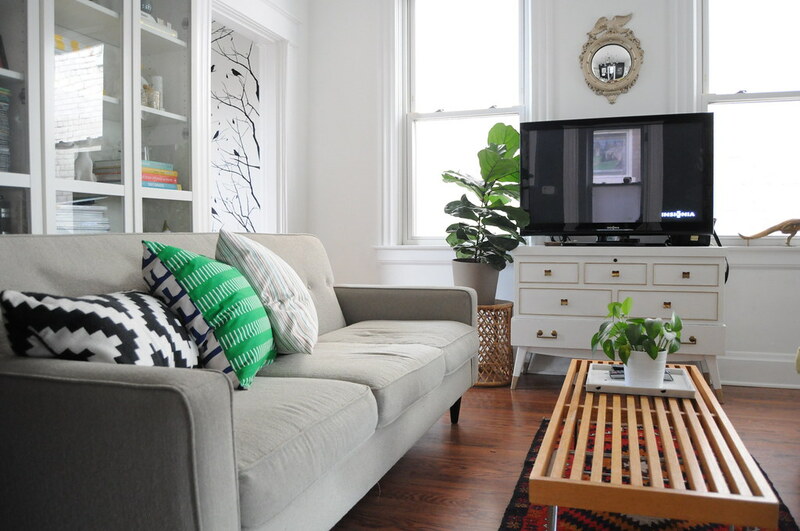 One of the biggest mistakes in living room decoration is putting accent on the wrong things. Having a focal point is a great way to put focus on something that will enhance the beauty of the space and create a more appealing ambience. Unfortunately, instead of putting focus on artistic centerpieces or accent walls, many people will choose to highlight the television set for example. This creates distractions and should be avoided at any cost. Also, try to go beyond a classic fireplace centerpiece and opt for an art piece instead, a sculpture or even a mixture of exotic plants. If you are feeling creative, keep in mind that a nice view can also serve as a great focal point. A clever colour combination can create a wonderful ambience, put focus on certain objects and even connect different spaces. Choosing a good colour scheme for your living room can be perceived as tricky, but the best solutions is to opt for warm shades that will ensure comfort and ease. If you wish to go a step further and experiment with something bold, you can always choose wallpapers with unusual textures and patterns. Keep in mind that, when choosing colours and patterns, balance is the key, but do not hesitate to add a dramatic twist or a simple splash of colour in order to bring the room back to life. While many would prefer to stick to just one style during their decoration ventures, sometimes doing something unconventional can truly affect the atmosphere in the space. For instance, if your living room exudes the minimalist fashion of the modern era, it’s a good idea to try and incorporate a dash of that charming Victorian style. At first, this might seem a bit unrealistic and rather tasteless, but those who manage to subtly blend these two styles together can indulge in an exquisite ambience of elegance, luxury and amenity. Another important aspect of creating a more inviting atmosphere in the room, is carefully choosing your seating arrangement. There are a few factors that can greatly help you achieve that welcoming setting in your living room. Firstly, you will want to choose furniture that is not just aesthetically pleasing but also comfortable. Consider the arm rests, the height and the depth of the furniture pieces. Also, make sure to create a suitable balance between different pieces like tables, armchairs and sofas in order to achieve a structured setting. Keep in mind that the overall shape of the furniture but also the room itself can greatly influence how your seating arrangement will look like. Lastly, make sure to carefully place your furniture so it would allow good traffic but also make it easier to observe and communicate with your guests. The thing that mostly affects the ambience in a room is creating a way to please all of your senses. Scented candles and incense sticks have the ability to create a relaxing and soothing ambience, while certain sounds and music can have calming effects However, the choice of lighting is one of the most important things, and as such, should be considered carefully. Allowing natural light in the room is always a good choice, while combining accent and decorative illumination will certainly give your room a wonderful look. Most people have a tendency to spend too much time embellishing their living rooms in order to create a space that will please the eye. Of course, you can spend ages decorating your living area, making it feel more chic, modern and even functional, but in the end you will feel like something is missing. By implementing these few tricks, you will be able to experience the true sensation of your living space. Author’s Bio: Lana Hawkins is a student of architecture from Sydney. She is the editor-in-chief at Smooth Decorator, and she loves writing about inspiring landscaping and interior designs. Lana finds her inspiration in sustainability and green design. If you like this post and want to share it then click the service! This entry was posted in Home, Car, Yard, and Pets, ~Decorating and tagged arrangement, Color, create, decorate, focal point, inviting, living room, style. Bookmark the permalink.